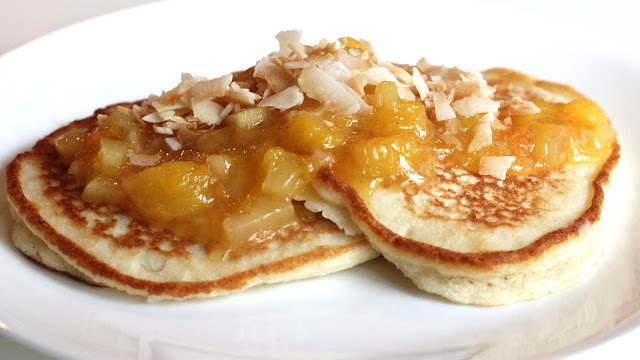 Coconut Pancakes with Orange-Mango Compote. This was a delicious Cooking Light recipe! but it was still an amazing pancake recipe! they would have been much lower in points! 16 Weight Watchers Smart Points for 2.